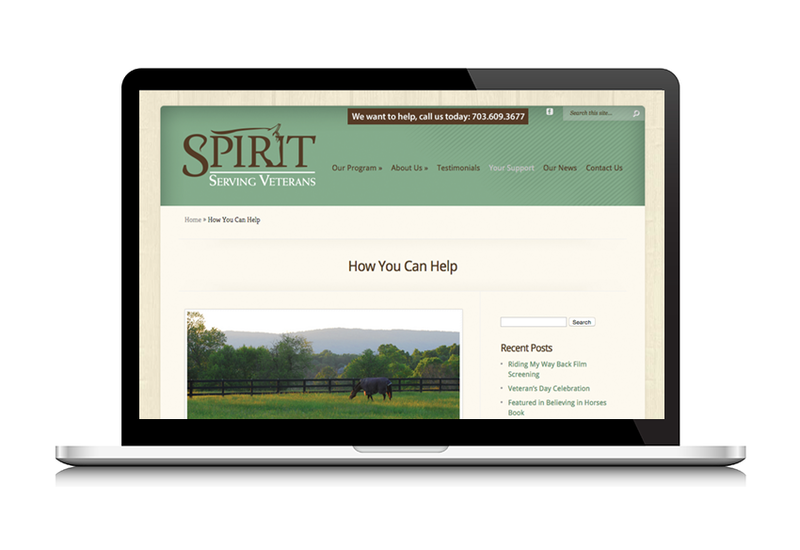 Spirit Serving Veterans was a nonprofit organization based in Middleburg, Virginia. They offered Equine Assisted Psychotherapy (EAP) to assist veterans and their families cope with the stress of PTSD. As well as children and adults dealing with mental health and well-being. 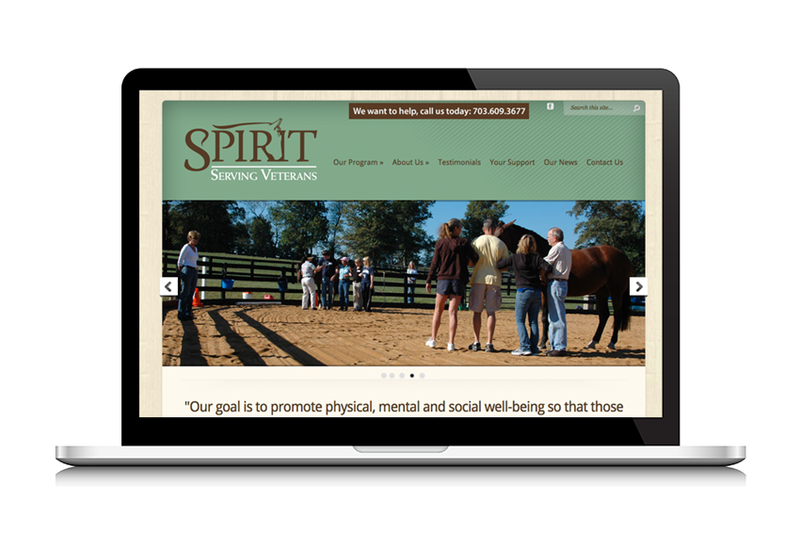 Paprika Creative helped establish the logo and brand for the organization. 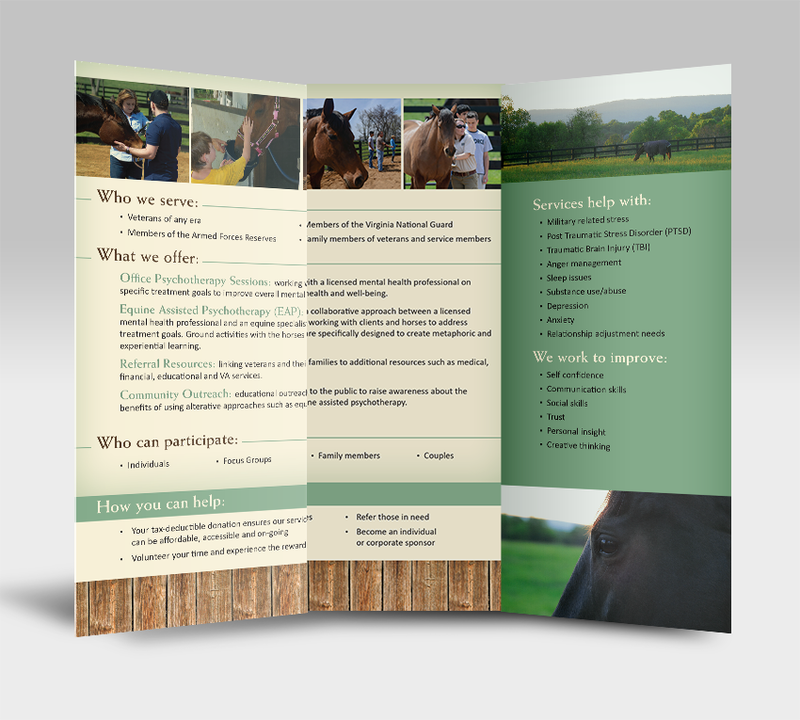 Once the brand was established we created a tri-fold brochure and their website. One of the main goals of the marketing is to portray the special bond and language humans and horses have. 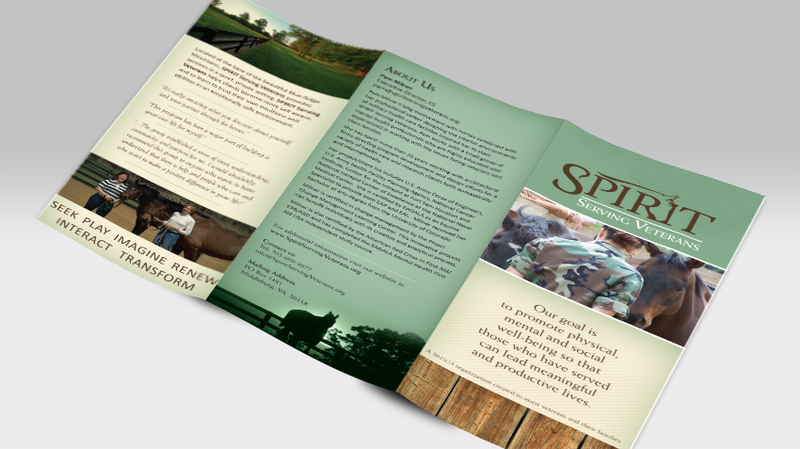 We used the green and cream color palette to represent the beautiful farm the organization is located. *The non-profit is no longer active - the site is still viewable but not being actively updated. Some of the plugins, etc.